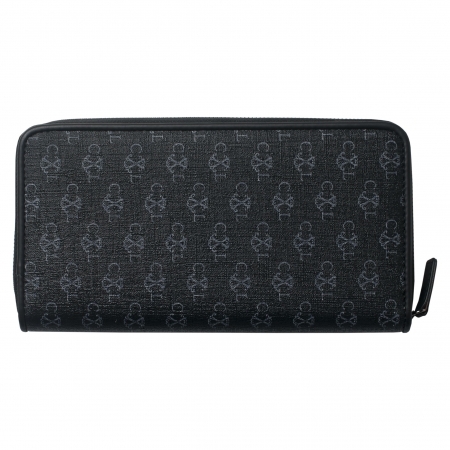 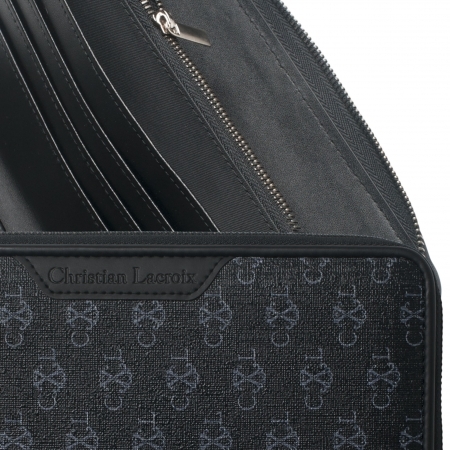 Carry your money and cards with this classy unisex wallet from Christian Lacroix. 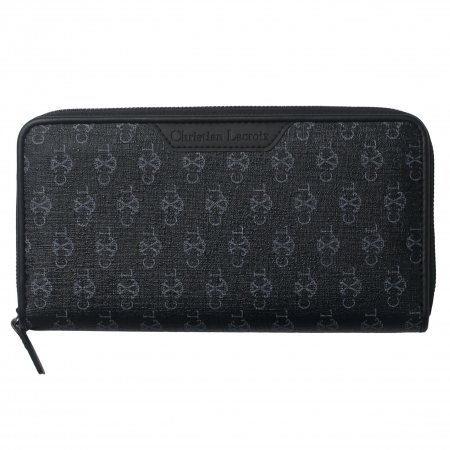 This travel wallet has an elegant grey pattern. 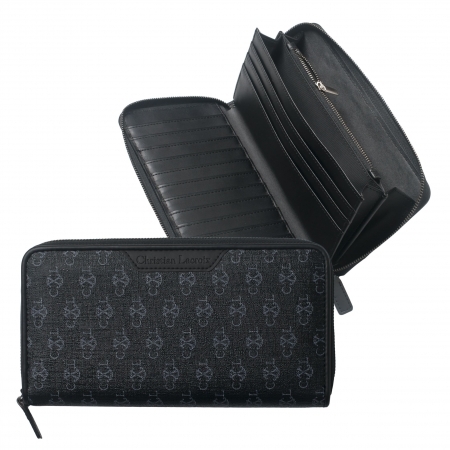 Inside of the wallet you will find ample spaces for all your essentials, with many credit card slots, two note compartments and a zipped pocket for your coins.